In his Epistle to the Philippians, Paul positions himself as an example of 'being in Christ'. The way in which he does this points out that he consciously positions himself in the tradition of classical rhetoric, where the use of paradigms (exempla) was a standard element in deliberative arguing. Paul describes his life as coloured by Christ in such a way that he represents Christ to the Philippians, and the response he hopes to evoke in their congregation is that of similar behaviour. 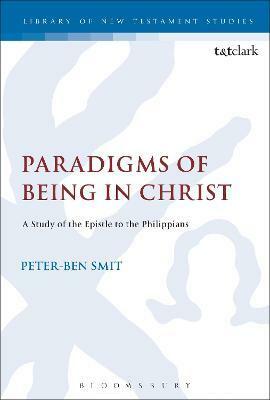 Smit's analysis combines observations on classical rhetoric, exegetical analyses of Philippians, and views from the perspective of gender and masculinity studies into a new and fresh analysis of the way Paul positions himself as an example of 'Being in Christ'. Smit shows that ancient ideals of deliberative rhetoric have influenced Philippians heavily, drawing examples from: Aristotle, Plutarch, and 2 Maccabees. This study both positions Paul in the cultural context of his day and indicates the newness of his enterprise. Peter-Ben Smit is is Extraordinary Professor of Old Catholic Theology at Utrecht University and lecturer for New Testament at VU University Amsterdam, the Netherlands.